On New Year’s Eve, John Lennon's anthem to hope and peace, Imagine, took centre stage in capitals across the world to help inspire a global movement towards a better future for every child. Live performances of Imagine at New Year’s Eve events in Cape Town, London, Rio de Janeiro and New York highlighted urgent action needed to address key challenges facing children, including poverty, violence, the impact of climate change, and the barriers that prevent so many children from reaching their full potential. The UNICEF-led #IMAGINE initiative joined forces with action/2015, a coalition of nearly 1,000 organizations from around the world that have come together to influence world leaders and inspire collective action in advance of key global agenda-setting meetings in 2015. These include the Financing for Development Conference in Addis Ababa in July, when governments and their partners will produce a global strategy for financing global development; the UN General Assembly in September, when world leaders will set out new development goals for the next 15 years; and the UN Climate Change Conference in Paris in December. The global New Year’s Eve events were timed to draw greater attention to the most pressing issues facing children, communities, and the planet. 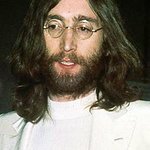 Young people performed Imagine at events in Cape Town, London, Rio de Janeiro and New York, some accompanying themselves on a white piano, recalling the one John Lennon played in the filming of his iconic song in 1971. The events also featured the debut of a ‘World Version’ video of the classic Lennon song, made in collaboration with renowned DJ and music producer David Guetta that features famous voices including Katy Perry; Angelique Kidjo; Priyanka Chopra; Pau Gasol; Yuna Kim; Callan McAuliffe; Daniela Mercury; Khaled Abol Naga; Nicole Scherzinger; will.i.am; Sonu; Neymar; Adam Lambert; Puffy AmiYumi; UN Secretary-General Ban Ki-moon; UNICEF Executive Director Anthony Lake; and astronaut Samantha Cristoforetti singing from the International Space Station, alongside voices of children from Bulgaria, the Philippines and Jamaica, among others, and members of the public who have uploaded their own versions through the Touchcast app. The World Version of Imagine can be found here.